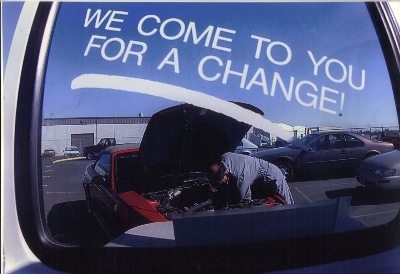 We're Different from other Oil Change Services because we come to you for a change. In brief, you should know the following about us: our company was established 1995 and had been responsible for providing outstanding on site oil changes ever since. Our specialty is in the area serving Isuzu NPR and light duty pick up's and van's .Our regular customers particularly value our ability to save them money. Our business is located in Salem Oregon. We our curring serving from Portland to Eugene.